Vermicompost consists of worm castings or manure and bedding materials and partially decomposed organic matter from the worm bin. Juvenile worms and cocoons also find their way into finished vermicompost unless removed via a fine screen. Soil scientists analyze vermicompost compared to soil and regular compost to determine the presence of valuable nutrients and minerals for plants. Vermicompost quality varies depending on raw material used and age of the compost, as well as the type of worms used, notes the University of Hawaii’s Department of Tropical Plant and Soil Sciences. Vermicompost contains 902 parts per million of nitrate nitrogen, compared to 156 for regular garden compost, as well as 475 ppm of manganese, compared to 414 for regular compost. New Mexico State University also found 278 ppm of zinc, 34 ppm of boron and 27 ppm of copper in vermicompost, compared to 128 ppm of zinc, 25 ppm of boron and 17 ppm of copper for regular compost. Earthworm castings placed in your garden contain five to 11 times more phosphorous, nitrogen and potassium than the surrounding soil, writes NMSU’s George W. Dickerson, an extension horticulture specialist. Specific advantages of vermicompost to plant growth include their high microbial activity and their relatively large amount of plant-available nitrogen in the form of nitrates, notes the University of Hawaii. The university’s Department of Tropical Plant and Soil Sciences found that vermicompost prepared from food scraps contained 1.8 percent nitrogen, with 1,212 ppm of nitrate nitrogen. Vermicompost prepared from manures from chickens, rabbits, pigs and horses had even higher nitrate nitrogen concentrations, found professor Ted Radovich of the Sustainable and Organic Farming Systems Laboratory at the university. Scott Subler and Clive A. Edwards, professors at the Soil Ecology Laboratory at Ohio State University, analyzed the effects of vermicompost on plant growth. They found that the addition of 10 percent to 20 percent worm castings to potting mixes spurred “dramatic improvements in plant growth.” Even as little as 5 percent of castings caused a dramatic response, leading the researches to suspect that mineral nutrients are only part of the picture. Subler and Edwards concluded that plant growth might also be spurred by micronutrients in the vermicompost, “the presence of plant growth regulators” and beneficial microorganism activity in the vermicompost. The process of vermicomposting unlocks the nutrients in organic waste, note Swati Pattnaik and M. Vikram Reddy of the Department of Ecology and Environmental Sciences at India’s Pondicherry University. 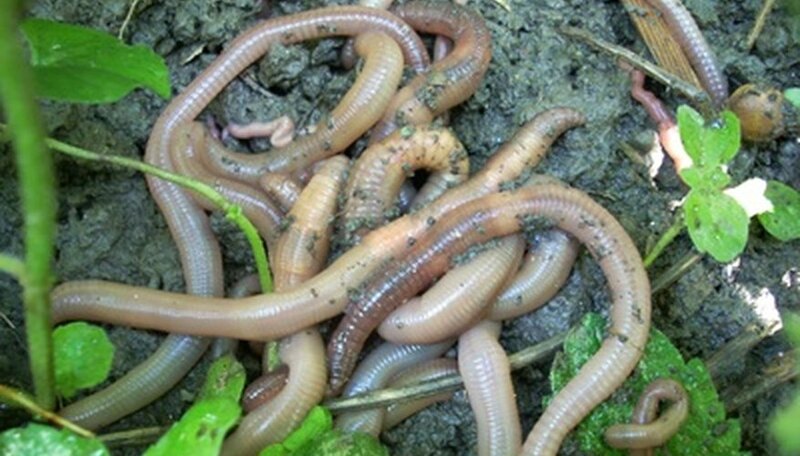 The worm’s gut changes them to simple and more readily available forms for plant feeding, such as nitrate or ammonium nitrogen, exchangeable phosphorus and soluble potassium. Vermicompost releases its major and minor nutrients slowly, synchronizing with the requirement of plants. Pattnaik and Reddy note that nutrient analysis of vermicompost varied depending on the type of worm used, with compost created by Eudrilus eugeniae, or African nightcrawlers, possessing significantly higher concentrations of the nutrients, followed by Eisenia fetida, or red wigglers, and Perionyx excavates, blue worms).